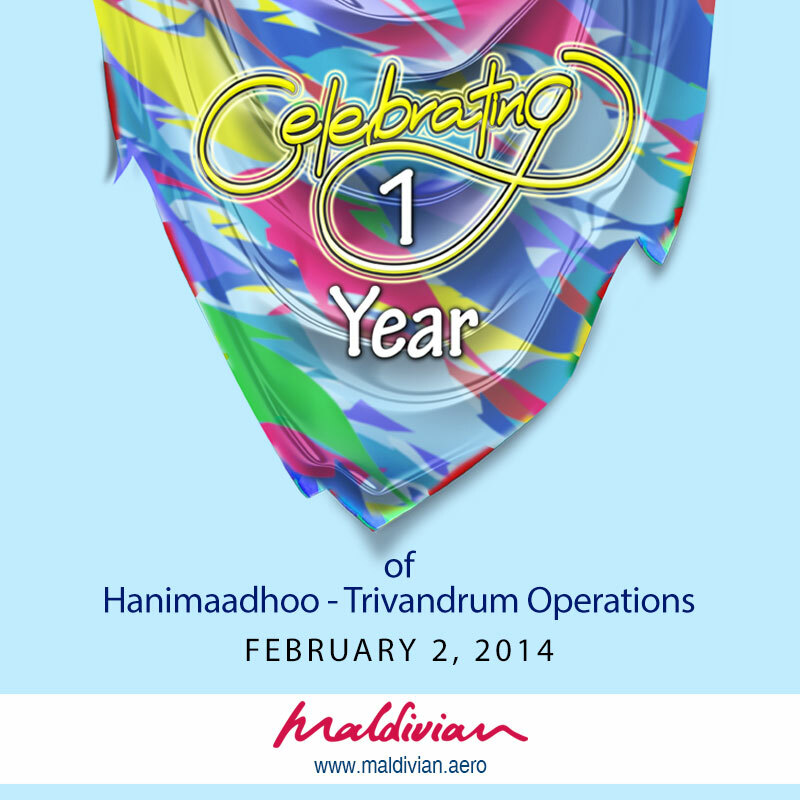 We wish to thank our invaluable Patrons, Partners, our team at Maldivian and our friends, as we celebrate the completion of our first year of Hanimaadhoo - Trivandrum – Hanimaadhoo operations. Today, as we mark this milestone we have built a great many relationships and we look forward to strengthening them even more in the future. We are indebted for all the unwavering support and patronage from our customers and from the team at Maldivian. We couldn’t have done it without you!